Definitely a premiere. 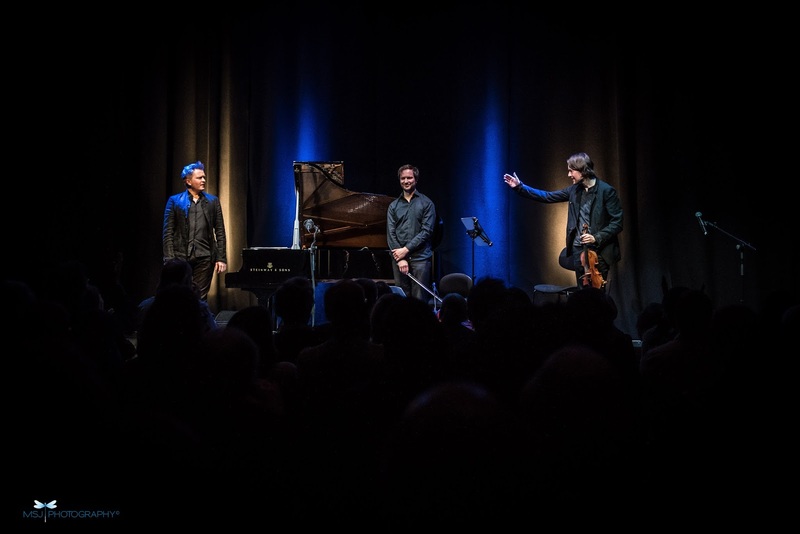 The trio of English violinist Thomas Gould, Estonian pianist Kristjan Randalu, and German, Berlin-based cellist Stephan Braun were making their very first public appearance on the same stage in Kings Place Hall Two on Friday. The circumstance reminded me of something Evan Parker once told me in an interview: "Music makes you ask some straightforward, unspoken questions of yourself and of others: 'What can you do? What can you bring to it?” – it's a case of thinking 'I know why I'm here, and as long as you've got some idea of why you're here...' That's the way improvising musicians can work with each other. You bump into each other, you re-connect quickly." At Friday night's launch of the trio I had precisely that sense that each of the musicians knew why they – and the others – were there. The vibe was one of complementarity, respect and a similar aesthetic. 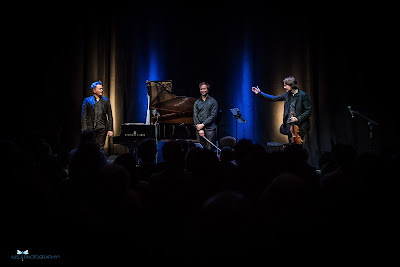 The whole venture gave a very strong account of itself on its first outing, but also left the feeling – or a hope at the very least – that these three musicians with their busy careers and other calls on their time might want to give this formation the time to let it develop as deserves to happen. The piano/violin/cello trio is one of the great classical music formations, but as an improvising band is extremely rare. 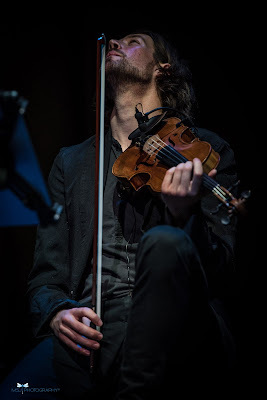 The first thing I clocked was, in a way, exactly what I was expecting to hear: that Thomas Gould brings total melodic fluency, a conviction and a presence in the sound which are – well – always worth hearing. If Gould be so melodically persuasive, how completely right it is that he should have invited Randalu, a composer with a European-jazz ethos and a superb melodic gift who has grown massively in assurance and stature since I last heard him in this same hall in 2011. (review) His tunes suit Gould's melodic sense like a glove, and although his evening at the piano was mostly a model of pedal-less restraint and superbly balanced chamber playing, it was also great to hear him have the opportunity to build the great solo he played on his own alluring tune with its light and dark, named after an Italian town mostly known for its wines, Rignana. 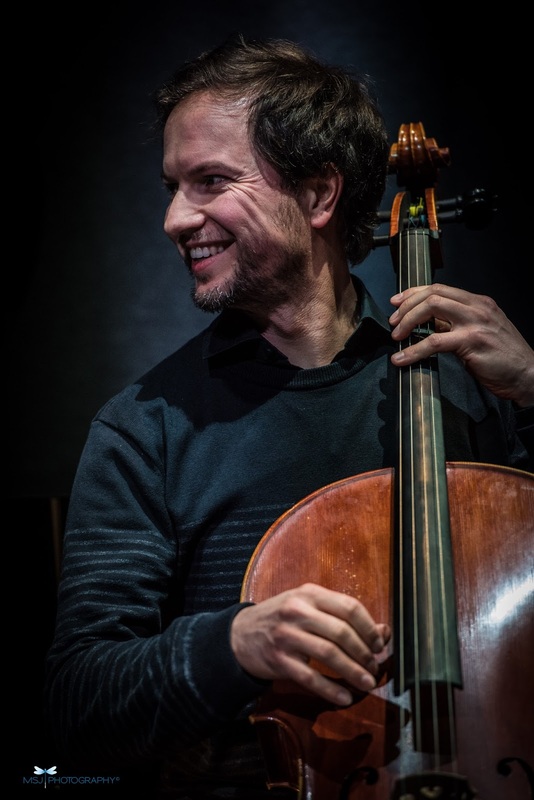 The least familiar name on stage on Friday was that of cellist Stephan Braun. Mary James has already covered him for this site. She returned from hearing him compete in the Seifert competition in Krakow in 2016 (REPORT) in a combination of shock and rapture. He won a special award. And he turned heads on Friday too. In fact, probably the most-repeated remark after the concert was "where are all the cellists?" Braun's armoury of sounds, techniques, modes of attack and the sheer extent of his technical possibilities on the instrument are extraordinary. In his tune The Raid the cello bow is more or less completely re-invented. I did discover that this was not in fact Braun's very first visit to London. 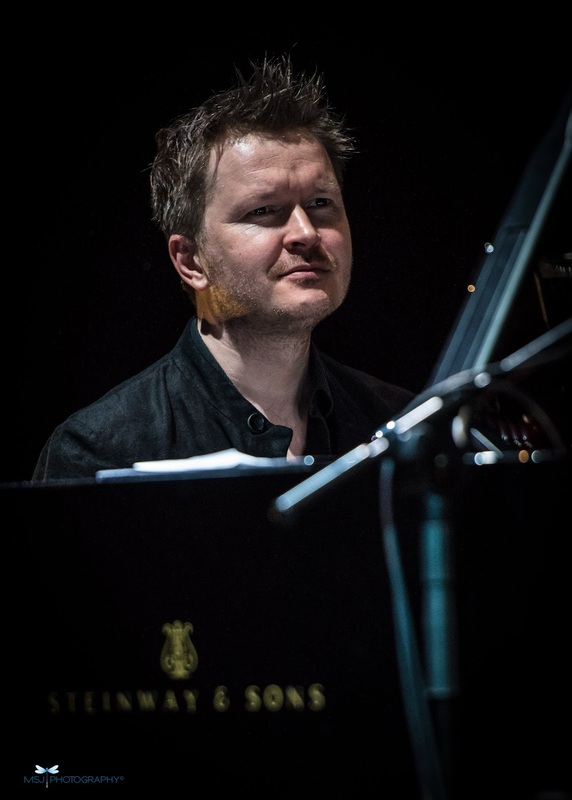 He has been here before – of all the least likely places – as a member of Melody Gardot's band (see this video). Monika Jakubowska's pictures have caught the happy spirit of the occasion. 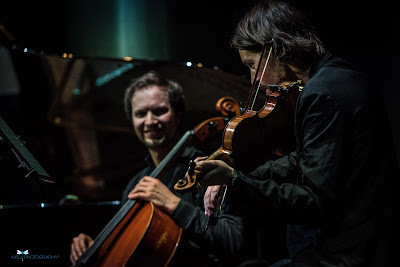 This is a group which could walk straight into Artesuono, Rainbow Studio in Oslo, Studio 2 of RSI Lugano, Flagey in Brussels, Odradek in Montesilvano, or the old Sendesaal in Bremen tomorrow, and make a memorable album, which will hopefully be the first of a series.